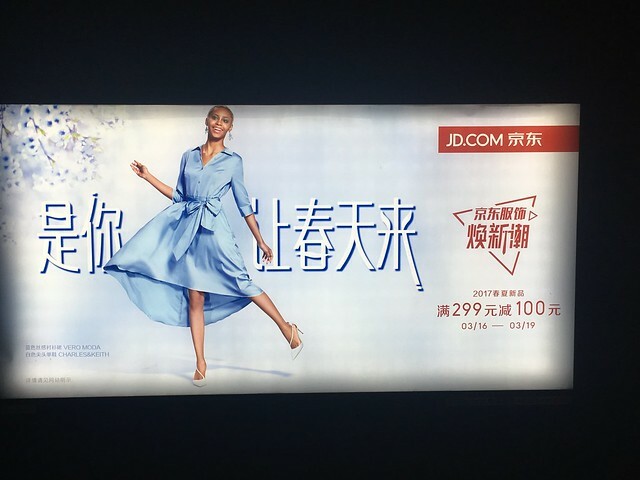 I’m not saying it never happens, but I see black women prominently featured in Chinese ads seldom enough that I notice when it happens. 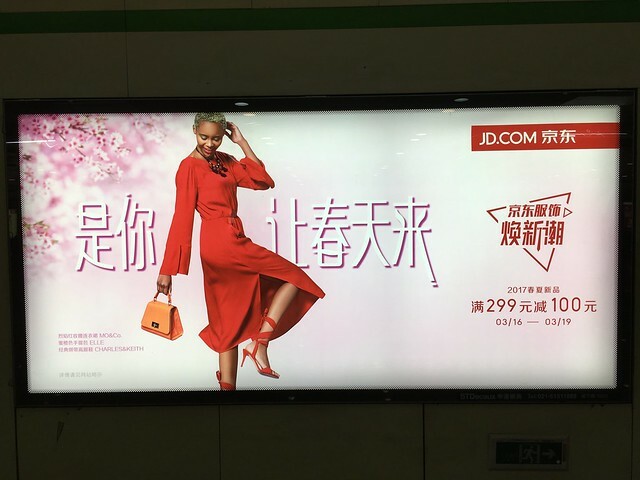 These ads from the Shanghai Metro are by JD.com (京东), which is a Chinese company, not just a foreign company doing business in China. 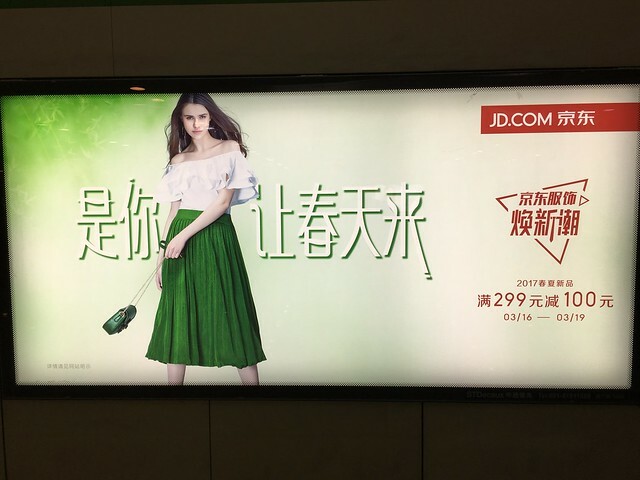 That means, “it’s you that made the spring come.” Not the most inspired slogan, but easy for Chinese learners! Why is this article tagged racism? 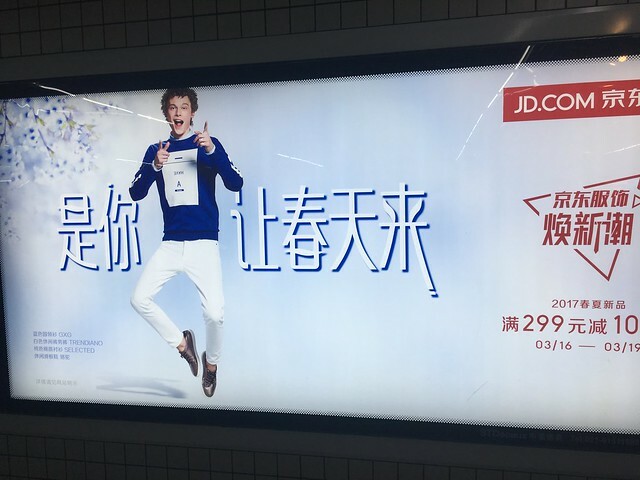 I don’t see any racism in the advertisements. 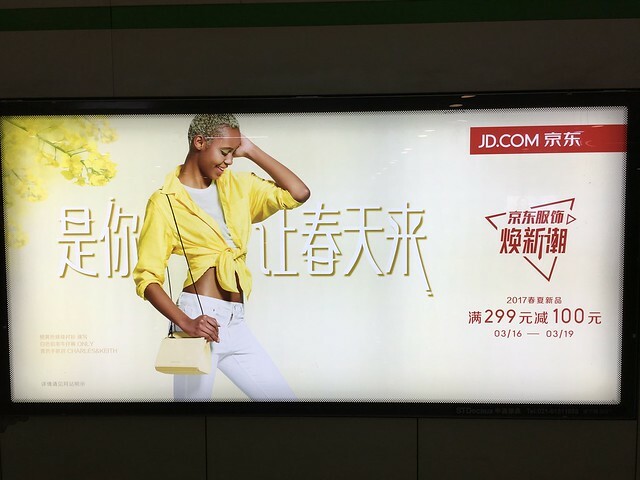 I actually think the black chick is the hottest out of all the models in the ads. It’s an example of a lack of racism. 🙂 So if you’re browsing the “racism” tag, you’ll get a slightly fuller perspective if you see this.